What is a pest? A pest is something we don’t like in the wrong place at the wrong time. Insects, animals, vegetation, even people can all be considered pests. One blade of grass in the sidewalk crack next to acres of carefully manicured lawn. Orchard bees desperately trying to find a good place to nest. Deer eating flowers and shrubs. Dormant or empty wasp nests. 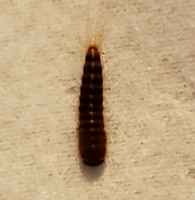 Strange bugs that enter our living and work space. 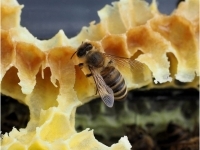 Definition of IPM: There is no governing authority that can state a clear definition of “Integrated Pest Management” , resulting in many interpretations of the intent of this process. Rather than trying to decipher any of these definitions, we have chosen to display one example that seems to cover most of the basic points. Your feedback on this web page is most welcome. QUESTIONS and ANSWERS: . What does “integrated” mean? 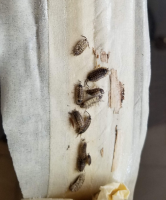 The use of two or more pest management techniques (Inspection, Identification, Sanitation, Cultural, Mechanical, Biological and/or Pesticides) to achieve established pest management objectives. What does an IPM service involve? An IPM service requires time and effort to: inspect and monitor pest activity; employ procedures; make suggestions for eliminating points of entry and resting areas; and deter potential pest infestations and/or reduce existing ones. What is habitat modification? Buildings have different microhabitats which provide food, water, and harborage for pests. Decreasing the availability of suitable habitats for pests and denying access into buildings may control infestations. Does IPM eliminate the use of pesticides? An effective IPM program may include the use of pesticides. However, the amount needed will likely be reduced. There’s nothing more enjoyable than spending a warm evening on your porch or lounging in front of the television watching your favorite baseball team. But doing these things can be less pleasurable if you are constantly bothered by insect pests that decide they like your home just as much as you do. 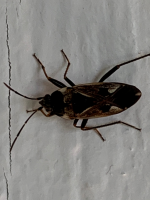 However, you can control insect pests by following some very simple steps suggested by the California Department of Pesticide Regulation, most of which involve very little or no use of pesticides. floors and the backs of cabinets. Make sure those areas are sealed off. Install screens and weather-stripping on all doors and windows, and see to it that all doors that lead to the outside are closed unless they are being used. Pests are easily attracted to food. Store foods such as cereal, flour, bread and raisins in tightly closed containers. Also, make sure your kitchen is always clean and free of such items as cooking grease and crumbs. 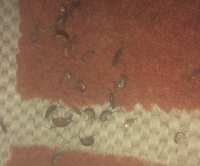 any damp rags or similar materials that may attract pests. Dispose of your garbage often, especially when you throw away food scraps. When you take the trash outside, put it in a tightly closed container. Do not leave pet food in bowls for long periods of time. Avoid storing newspapers, paper bags and empty boxes in your home. Check all bags and packages for pests before you bring them inside your house. Constantly vacuum your rugs, especially under furniture where food may have accumulated. ground for insects. Properly till your garden to allow air and water to enter into the soil. For more information, contact your county Extension agent. See to it that drain pipes and other water sources drain away from your home. Remove pet droppings and animal feces from outside your property every few days. These can attract flies and other insects. Don’t allow trash to accumulate outside your house for long periods of time. 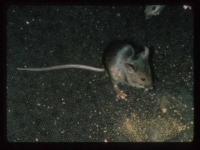 Trash not only attracts insects, but also mice and rats that may find refuge in your house. To avoid termites, ants and rats, do not store wood under or around your home. Keep wood piles as far away as possible. Avoid putting in shrubs and other plants that touch the house. If possible, keep the area around your home free of all vegetation. Clear away dead plants, and fallen fruit and branches where pests are most likely to breed. Also, check under large rocks and stones to make sure insects are not developing. If possible, hand weed your lawn and refrain from using pesticides. If you must use pesticides, carefully read the label. If you are not certain how to use them, contact your county Extension agent.